Part number 01z 50V Printed in black on orange component casing. This is a B113 module with a green board and a blue plastic extraction handle attached by two rivets. 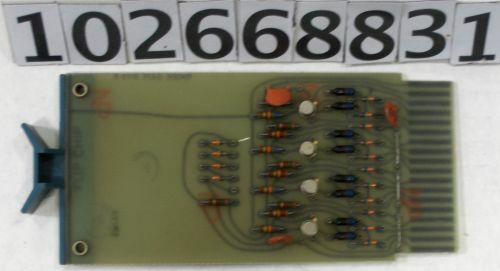 The component side is marked with two round inspection stamps; "FLIP CHIP" can be read through the board between rivets. Throughout the green board the maker's mark "NP" appears in red. "DIODE GATE B113C" is stamped on the solder side.